SAP has put real-time business within reach of fashion retailers with the introduction of SAP S/4HANA for Fashion and Vertical Business. This next-generation platform unifies the lightning-fast analytics of SAP HANA with transactions, enabling fashion retailers to gather and process data across wholesale, retail and manufacturing, while simultaneously applying it to consecutive business process - all in real time. Below, we’ll go over many SAP S4HANA Fashion Use Cases so that you’ll be able to get a clearer picture as to why incorporating a real-time digital core for fashion is the best way forward. Here's your roadmap for the rest of this guide. As we move along, we’ll stop off at each point to dig in a bit deeper. How does SAP S/4HANA deliver a digital core required for the digital economy? What does SAP S/4HANA Fashion mean for apparel, fashion and footwear companies? How does SAP S/4HANA for Fashion meet fashion retail requirements? What are the use cases of SAP S/4HANA for Fashion? How can fashion companies make the move to SAP S/4HANA Fashion faster? What can fashion companies migrate to SAP S/4HANA Fashion with less risk? Business now have come to an understanding that an excess of complexity in business operations and IT systems cause considerable limitations in business performance. However, as some are finding out the hard way, overcoming complexity in fashion is not a "to-do" item that can easily be checked off. Rather, it involves a strategic company-wide approach with a singular goal: drive digital transformation in fashion by leveraging a robust digital foundation that places simplicity at the core of the business. Let's look at it this way. Information is one of the most valuable assets of any fashion business. Data management and analysis of data can set a business apart from its competitors. But information and analytics go even deeper when all data can be gathered, processed, and interpreted with speed and agility. When it is in direct relation to business processes — it is at its most powerful. Ask a CIO which technologies a company must have to “digitally transform” the organization, and you’ll probably hear about internet of things (IoT) or machine learning. But these technologies can’t excel on the traditional, monolithic IT landscape or legacy ERP data structures. This is where a digital core comes in. A digital core is crucial to a digital tranformation initiative, designed to offer stability and long-term reliability for core enterprise processes with a single source of truth. This solid foundation gives you a higher degree of flexibility to adapt and innovate quickly to new opportunities and challenges, such as new business models, new regulations and business events such as mergers or acquisitions. For fashion companies, this means leveraging a platform that connects across all sales channels - wholesale, retail, manufacturing and e-commerce, empowering decision-making and giving you a significant advantage in today’s digital economy. Today, the most successful retailers are actively using a digital core to centralize data and establish a single source of truth with an enterprise-wide digital transformation initiative as seen below. However, it is important to note that moving to digitally-connected core is not a small, incremental change. Enterprises that treat it as such will fail to succeed. As you continue reading, you will realize that building a digital business brings about fundamental changes, with new business models that involve major shifts in how an enterprise operates and interacts. The key to thrive and survive in the digital era is managing data, but this cannot be sustained efficiently without a revamped digital core that includes stable and reliable core ERP processes. SAP S/4HANA is designed to deliver on this promise, by creating a functioning digitalization-friendly IT environment. Within this landscape, all its applications are interconnected, making it possible to access and use detailed data from anywhere within the company in real time without information loss. How does a digital core on SAP S/4HANA with a true single source of truth help? Now that you know that large, monolithic ERP suites are not conducive to the agility required for digital business, let's take a closer look at what is SAP S/4HANA for Fashion and drill down to how it ticks all the checkboxes in delivering a digital core that effectively powers operations, modernizes the operational core and help retailers meet the demands of omnichannel retailing. What is SAP S/4HANA for Fashion and Vertical Business? SAP S/4HANA Fashion is a comprehensive ERP solution, designed to help fashion businesses meet the demands of the digital economy. With a simple and intuitive interface, it provides fashion companies access to every aspect of their business, merging all fashion processes –wholesale, retail, manufacturing and e-commerce - onto a single platform. The vertical fashion platform gives retailers the flexibility and agility needed to deliver seamless customer experiences; retailers can easily adjust to rapidly changing business requirements and report in real time by function, region, category, channel and product. Supporting fashion core processes end-to-end, from master data to supply assignment, the redesigned business suite provides previously unavailable agility and flexibility, one that’s designed to support innovative digital business initiatives. Fashion companies are able to reinvent their business from front office to back office, gain insights into operational data, and empower their employees with contextual, real-time information for faster and better decision-making. What does SAP S/4HANA mean for fashion businesses? Businesses are able to interpret information flowing in and out of the business - and take their processes digital based on a single source of information that interconnects all aspects of the value chain in real-time. For example, many companies sell products according to the season. The main objective is to avoid having stock left-over at the end of the season. From planning, procurement, sales, online and offline channels through to coordinated clearance sale campaigns, vertical integration on SAP S/4HANA for Fashion ensures that these processes are fully harmonized, whether the products are being sold in a department store or in a flagship store. This entirely new business suite runs on the SAP HANA in-memory database technology to give end users real-time decision support by moving away from the transactional ERP system and becoming - the digital core – the nerve center of your entire fashion enterprise. Single set of master data that dramatically simplifies processes in key areas such as inventory mangement and stock valuation – no more batch processing required. Easily connect to people, devices, and business networks to deliver new value to their customers on any channel – the Internet of Things and Big Data become accessible to any business. Create a truly Live Business: immediate insights to act in the moment, intelligent processes that go beyond automation to predictive suggestion, complete integration – not only between your departments, but different verticals. Gain any insight on any data from anywhere in real-time: planning, execution, prediction, and simulation – all decisions can be made on the fly with the highest level of granularity for faster business impact. Leverage a simple and role-based user experience based on modern design principles across all functional areas, allowing new ways of working for business users, minimizing training efforts and increasing productivity. The value from a SAP S/4HANA Fashion Digital Core is delivered through the simplification of the user experience, architecture, and business processes to better analyze trends, simulate the outcomes of strategic options, and optimize planning, so fashion companies have the ability to create unique opportunities to reinvent business models and drive new revenues and profits. Already, we are beginning to see a mass exodus from monolithic, legacy platforms to a more agile and robust one like SAP S/4HANA; a purpose built system for the digital age. The movement is happening across the board, from European mega brands to Latin American startup e-tailers looking to expand globally. Fashion brands are now scoring quick wins within a broader, enterprise-wide program that utilizes rapid deployments and a highly user-friendly design, such as SAP S/4HANA. To better understand the benefits, we break down how SAP S/4HANA Fashion adressess common pain-points faced by fashion companies in the chapter below. It is given that fashion companies must be ready to service their customers at any given moment with the right information, the right product, in the right location, and at the right price. The capabilities delivered with SAP S/4HANA for fashion and vertical business and its many integration points into the complementing retail solutions help ensure fashion companies deliver on this promise smoothly and efficiently across the entire customer engagement lifecycle. Let's take a look at how this is possible with an overview of SAP S/4HANA benefits, functionalities and scope. Work with larger data sets in one system - merging Retail, Manufacturing and Wholesale data in a single ERP, with tight systemic integration to related systems, such as CRM, PLM, etc. Vertical fashion companies often sell through a multitude of channels. However, not all the orders are placed at the same time. In such cases, fashion companies must prioritize customers, channels or markets, to ensure that the most important customers are served first. Stock protection helps companies achieve this goal by protecting inventory for high priority demand even if important sales orders are received late and low priority orders precede them. Horizontal Stock Protection: protect channels from cannibalizing each other in order to keep the possibility of balancing stock for a more profitable outcome. Vertical Stock Protection: protects stock for high priority channels so that other channels cannot consume or poach its stock. In traditional systems, conventional Available-to-Promise (ATP) is a function provided to help fashion businesses confirm order delivery dates based on actual supply chain and manufacturing resources. ATP provides this confirmation by analyzing data like warehouse stock, planned orders and sales orders to ensure that future orders do not disrupt confirmed orders. Although the approach was easy to use, the increased complexity in today’s digital world requires more complex mechanisms, leaving conventional ATP insufficient. For example, availability checks were done on a first come first serve approach, which averted businesses from meeting their strategic priorities. To cope with all these changes, Advanced Available-to-Promise (aATP) on SAP S/4HANA Fashion was introduced to address the challenge of working in a dynamic and moving environment, allowing fashion companies to react to changes in the supply chain and help manage the demand and supply intelligently by ensuring optimal assignment of supply. As seen in the above video, not reacting to the changed availability situation can result in confirmed quantities exceeding available quantities. With the newly revamped Back Order Processing (BOP) on SAP S/4HANA, fashion companies can check stock availability when the demand or supply situation in the order fulfillment process has changed and reconfirm if previously calculated confirmations for sales orders or stock transport orders are still realistic. Back Order Processing on SAP S/4HANA for Fashion is done using five different predefined confirmation strategies (business rules) to minimize losses due to inventory stock-outs, protect customer interests and ensure strategic customers always get served. E.g. a last-minute customer order is created for a very strategic customer. However, the stock has already been committed to another customer, belonging to a lower confirmation hierarchy, leaving no stock available for the priority customer. After executing the back order processing, stock previously committed to sales orders with customers classified as REDISTRIBUTE, FILL and LOSE has shifted to the customer classified as WIN. When orders reach a fashion company through multiple channels, it places an enormous burden on the business to effectively manage inventory and conduct simultaneous logistical operations through various channels. For fashion brands with legacy systems, this burden becomes two-fold because each channel is designed in isolation from the requirements and processes of each other, which means no system provides true inventory visibility across channels in real-time. This results in delays and errors – which ultimately leads to customer dissatisfaction. To overcome this challenge, majority of brands have resorted to developing specialized software to achieve a modest degree of visibility and control over processes across channels. However, this does little to address the challenge of achieving true inventory visibility and to maintain that visibility on a real-time or near real-time basis. However, as profitable order management becomes critical to a fashion business, it becomes paramount to overcome challenges that arise from inefficient and disconnected processes that heavily impact profit margins and customer experiences to a degree that no retailer can afford. A real-time unique view of inventory is the starting attribute that retailers need to put in place to achieve a more efficient and innovation-ready order orchestration and the underlying data model on SAP S/4HANA helps build this single view by connecting front-office with back office, digital channels with brick and mortar and transactional systems with consuming applications. This way, fashion companies are able to fulfill demand for their products from anywhere, thereby reducing stock-outs and missed revenue opportunities. In the below SAP S/4HANA for Fashion omnichannel scenario, we take a look at how fashion companies can leverage ‘Save the Sale’ initiatives to confront an out-of-stock situation in-store. By leveraging a single pool of inventory, fashion companies can provide inventory availability to sales associates. This way, in instances of OOS, associates are able view item avaliability at nearby stores and source intelligently from another store to fulfill in-store customer orders for out-of-stock products. With the introduction of SAP S/4HANA for fashion and vertical business, SAP broke ground by building a complete vertically integrated real-time solution, which incorporates retail, wholesale and manufacturing operations. At attune, we were fortunate to be a part of that journey; working closely with the SAP teams in running acceptance tests and providing product feedback. This unique position has enabled us spearhead multiple SAP S/4HANA for Fashion implementations across the globe and develop a pre-configured solution leveraging SAP S/4HANA fashion to offer brands and retailers a complete ERP solution, designed for accelerated deployment, reduced costs and less effort. attune Fashion Suite™ is a robust, cost-effective solution that delivers all the benefits of SAP S/4HANA for Fashion with pre-configured functionality and a set of add-on tools to help fashion companies transition to a digital core via an accelerated path. Currently, attune is engaged in multiple S/4HANA implementations, utilizing the attune Fashion Suite as a robust SAP S/4HANA Fashion rapid deployment solution. REDUCES COST: Available on a cloud, subscription model to enable fast growing fashion brands to get the best in class technology at a fraction of the cost. BEST-IN-CLASS PROCESSES: Brings best practice processes as out-of-the-box functionalities across supply chain, planning, finance, retail, procurement, cross-inventory consumption & more. The attune Fashion Suite is a good fit for both small and medium-sized companies (SMEs) and large enterprises to migrate to SAP S/4HANA Fashion; you can start realizing the benefits of S/4HANA in several weeks, and it also provides a solid platform for an evolving, broader transformation program. Brings out-of-the-box functionality at a predictable cost model, covering key over 50 preconfigured processes. Helps leverage the solution to build a reference solution; a "visioning platform" that can help drive blueprint discussions. We’ve calibrated our leading practice methods and developed a pragmatic approach to implementing S/4HANA, assimilating our working knowledge of S/4HANA, its tools and accelerators along with our unique fashion industry acumen. To minimize the risk, attune's Future Reference Solution (FRS) is designed to provide fashion brands a re-usable, personalized template of SAP S/4HANA for Fashion that leverages our rapid-deployment solution - attune Fashion Suite™. Incorporating attune's knowledge of SAP S/4HANA for Fashion and proven industry best practices, this fit-for-purpose solution represents a configured S/4HANA for Fashion environment that helps reach the desired outcome in a more efficient and effective manner. It is built to steer the implementation by combining SAP and industry-leading practices with a fashion brand’s unique requirements. As a result of our involvement in the product development of S/4HANA for Fashion, we’ve received many questions and inquiries from executives in the apparel, footwear, and fashion industry. To answer the first set of questions, we recently invited Dr. Christoph Schröder, Global Vice President, Industry Business Unit Retail from SAP to join us in an informative session, covering the top 10 most frequently asked questions on S/4HANA. Below, we’ve briefly answered three questions. For a more detailed understanding, be sure to check our on-demand webinar on "Frequently Asked Questions about SAP S/4HANA for Fashion and Vertical Business". What are the significant business benefits of moving to SAP S/4HANA for fashion and vertical business? Especially for those who recently implemented a new ERP system? In a word; simplification. The world of business, the fashion and lifestyle industry, in particular, has become an incredibly complex place to navigate. Companies are now looking to simplify their back-end processes. The greater the integration and harmonization of different channels fashion companies, the easier for fashion companies to transform and innovate their processes to remain competitive. S/4HANA, particularly for vertical fashion businesses brings a higher degree of synchronization across different areas of the business, helping brands achieve a level of streamlined simplicity to keep operating at the speed of fashion itself. Is SAP S/4HANA for fashion and vertical business replacing SAP Fashion Management? S/4HANA for Fashion and Vertical Business is a separate product and it does not replace SAP Fashion Management. That said, SAP Fashion Management is currently being used by over 120 customers around the world and SAP Fashion Management will continue to be supported until 2025. In terms of functionality, there are a couple of key differences between the two. To learn more about the difererences, sign up for our webinar. If I'm a pure play fashion retailer, should I go with SAP S/4HANA for Retail or SAP S/4HANA for fashion and vertical business? What's the difference i.e. what additional functionality does the SAP S/4HANA for fashion and vertical business license offer? The two solutions share foundational functionalities such as Master Data, Season Management, and Value Added Services. However, there are key differences between the two, other than the Manufacturing component. The most important differentiation is stock segmentation and supply assignment in SAP S/4HANA for Fashion and Vertical Business, which offers significant value. Is SAP S/4HANA for fashion and vertical business only relevant for fashion companies? What are the key new functionalities that SAP S/4HANA for fashion and vertical business offers? Which strategies or business models does SAP S/4HANA for fashion and vertical business enable? What is the difference or are the key differences between SAP S/4HANA for fashion and vertical business and SAP Fashion Management? SAP Fashion Management had tools provided by SAP to help migration. Are there similar tools to support the migration to SAP S/4HANA for Fashion and vertical business? Can I migrate directly from SAP AFS to SAP S/4HANA for fashion and vertical business? And similarly from SAP Retail and SAP Fashion Management? What's the difference between SAP S/4HANA Manufacturing vs. SAP S/4HANA for fashion and vertical business? If I am a fashion company with manufacturing operations, is SAP S/4HANA for fashion and vertical business suitable for me? 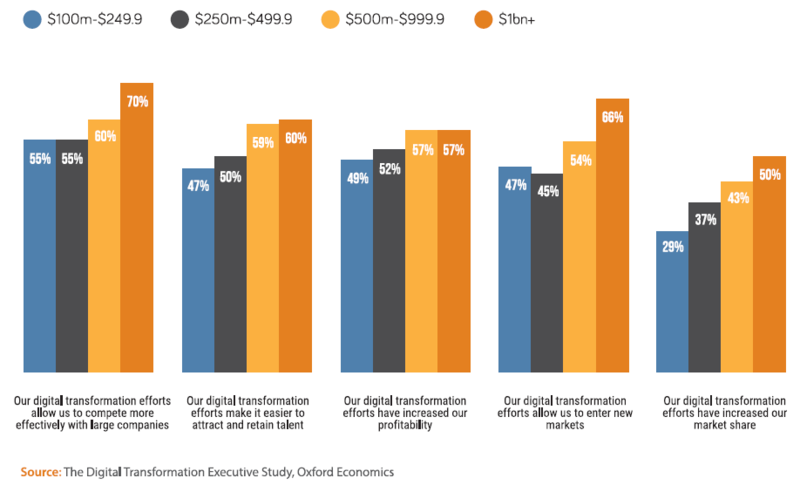 Digital transformation has moved on from its initial hype to being a business priority. The fashion and retail industries have been very susceptible to changes driven by technology, evidenced by regularly occurring store closures and bankruptcies of companies that were slow to adapt. On the flipside, it also resulted in a gold rush-like frenzy to implement digital initiatives and projects. But as some are finding out the hard way, many of these projects end up as false starts - mired in the complexities and limitations of the previous generation of ERP systems. While the likes of IoT, AI and chatbots hold great potential in digitization programs, what most businesses are realizing is the need to have a core that brings it all applications together and facilitate organic extensions to new technologies. The sum of the real-world business scenarios discussed above showcase how SAP S/4HANA for Fashion offers an end-to-end solution for fashion companies to run live. These are not merely incremental improvements based on processes that have existed before, but transformational change delivered to each department, unlocking new value to the business. These examples show that by starting a business transformation project renewing the ERP core with SAP S/4HANA – a company can safely plan for a significant transformation of its business while minimizing the risk. What is the business case for moving to S/4HANA Fashion? What are the migration tools available? and how can fashion companies manage the organizational transformation required? Whether you are looking for advice on when, why or how to move to SAP S/4HANA for Fashion, or are ready now to start an S/4HANA engagement, the attune S/4HANA Fashion Impact Assessment and Demo helps to answer your questions.